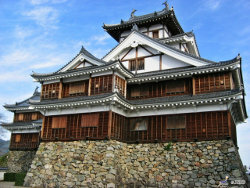 Fukuchiyama Castle is classified as a hilltop castle (its layout: Renkakushiki), and is located in Kyōto. 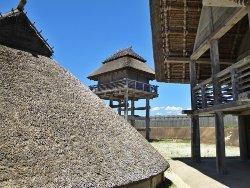 During the pre-modern age, it found itself within the borders of Tanba Province. It is associated with the Akechi clan. 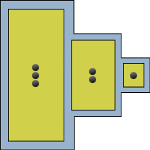 Dates in use: 1579 - 1872. 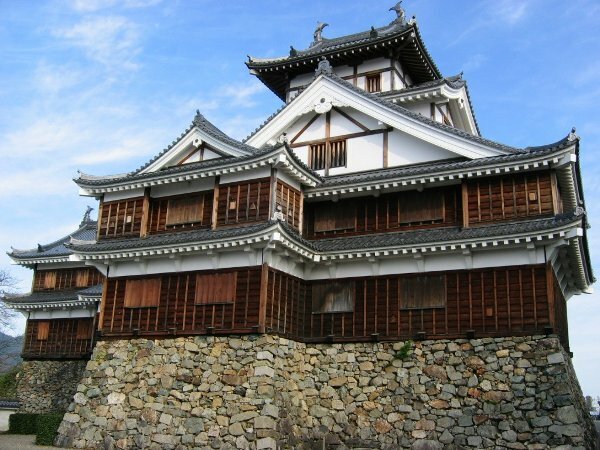 Akechi Mitsuhide replaced the Yokoyama clan here in 1576 & completed the rebuilding of this castle three years later. Mistuhide is most well known for betraying his lord, Oda Nobunaga. Nobunaga's death was avenged just 13 days later when Toyotomi Hideyoshi defeated the Akechi in the Battle of Yamazaki. 1579 Akechi Mitsuhide utilized the existing fortifications here to complete the castle. 1582 After Akechi Mitsuhide was killed in the Battle of Yamazaki, the Sugihara clan were stationed here. 1600 Arima Toyoji was stationed here after the Battle of Sekigahara. 1661 The Kutsuki clan were transferred here. They remained throughout the Edo period. 1872 The castle was abandoned. 1986 The castle was rebuilt.